THERE'S no point trying to beat about the bush, procrastinate, equivocate or give a long drawn-out X Factor-style build-up to the big reveal. In short, what I'm trying to say, is that there is no need to delay the inevitable. For any longer. 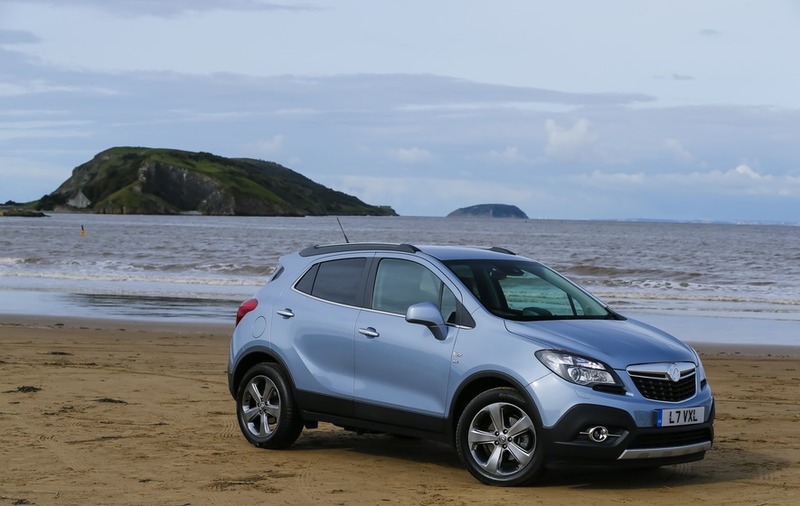 In other words: the Vauxhall Mokka is a stinker. It is almost exactly a year since I drove a car that disappointed so greatly. Back in 2013 it was the Mercedes-Benz A-Class, an underwhelming and overpriced hatchback. It might still be January 2014, but I doubt I will be unfortunate enough to drive another new car this year as poor as the Mokka. As with the Mercedes, the Mokka carries the twin burdens of an ambitiously high list price and distinctly average ability. This alone would be a big enough problem for Vauxhall, but it is further hobbled by the breadth of cheaper and more able rivals available. The Mokka is Vauxhall's take on the burgeoning mini-SUV and crossover, which means it is pitched against a wide range of opponents including Nissan's Juke and Qashqai models, as well as the Renault Captur, Skoda Yeti, Kia Sportage and Dacia Duster. It is ill-equipped for the battle, its rivals variously offering more versatility, style, space and value for money. They are all also much, much nicer to drive. In fact, unless you normally get around by Penny Farthing, 1963 Massey Ferguson tractor or the three-legged race, you will find most modes of transport more pleasant than the Mokka. The Mokka starts well, with strong showroom appeal thanks to its chunky proportions and the sort of psuedo-off roader styling that prevails in this sector. It looks larger than it is, too, thanks mainly to being a tall car. That extra height makes getting in and out of the Mokka a breeze. It also means there is plenty of headroom, to the extent that lankier passengers could, if they so desire, wear a bowler hat in comfort. Credit, too, for the effort put into lifting the interior above the industry's grey and black norm, even if the test car's brown and turquoise colour scheme won't be to everyone's taste. Front passengers have plenty of room and there is good space for two back benchers. A third passenger plonked in the middle of the back seat will feed hard done by, however, and fitting three child seats or boosters would require Krypton Factor levels of ingenuity. In this respect, the Mokka is no worse than many other cars, though something like a Skoda Yeti has a proper three-abreast back seat. The boot is a good size and shape, with a flat bumper-level floor. Beneath this is a deep compartment, where a spare wheel might sit if the Mokka were so equipped. Like more and more new cars, the Vauxhall has abandoned the weight of a spare wheel for a much lighter and smaller roadside puncture repair kit. 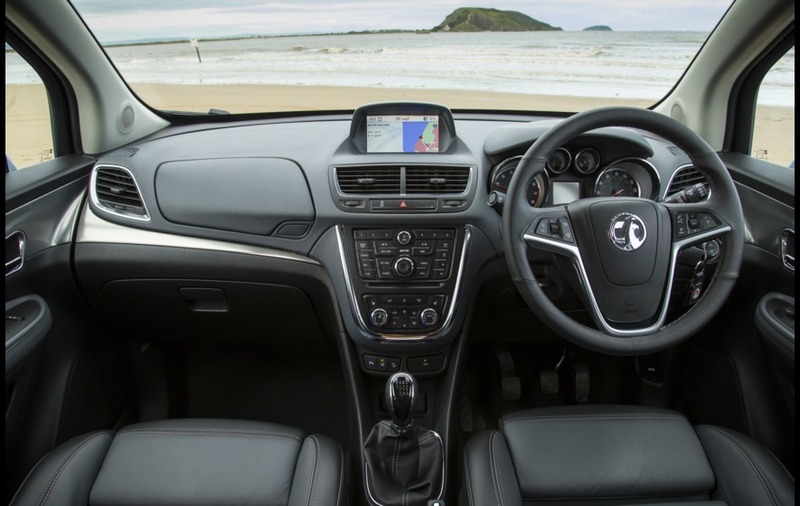 The Mokka, which is built in South Korea, feels well screwed together and the interior is of good quality, with an Astra-ish dashboard, though probably edged by competitors from Skoda, Nissan and Kia. So far, so good, perhaps. But spend more time with the Mokka and the showroom lustre quickly wears off. That's 'quickly' in the sense of the length of time it takes to travel about 100 yards. 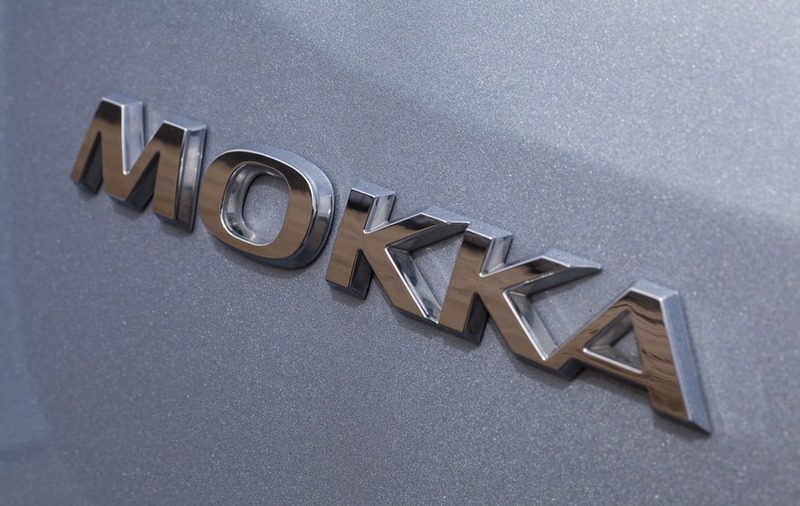 As a device for creating noise and making a racket disproportionate to the forward motion generated, the Mokka's 1.7-litre diesel engine may be second to none. Two petrol engines - a 1.4-litre turbo and a 1.6-litre - are also available, though I've not had the opportunity to drive them. They may even be as smooth and refined as a night out with George Clooney. But the diesel, which will likely be inflicted on most Mokkas, is less cultured than a Mrs Brown's Boys box set. Its partner in crime is a six-speed gearbox with a shift action that manages to be both vague and recalcitrant. To get an idea of how deeply unsatisfying this is, try whisking a dozen egg whites in a bowl into which two handfuls of gravel have been chucked. "If you want to give your spouse, children or friends an idea of how bad the Mokka rides on your average Irish road, invite them to climb into a wardrobe and then push it down a long flight of stairs. If the road in question is a B-road, do it twice"
The engine and gearbox's misdemeanours are bad enough, but they are mediated by a clutch action so wickedly heavy that it would eventually defeat even Finn McCool. If the vehicle in question was a high-performance car or an off-roader, the heavy clutch might be more easily forgiven. 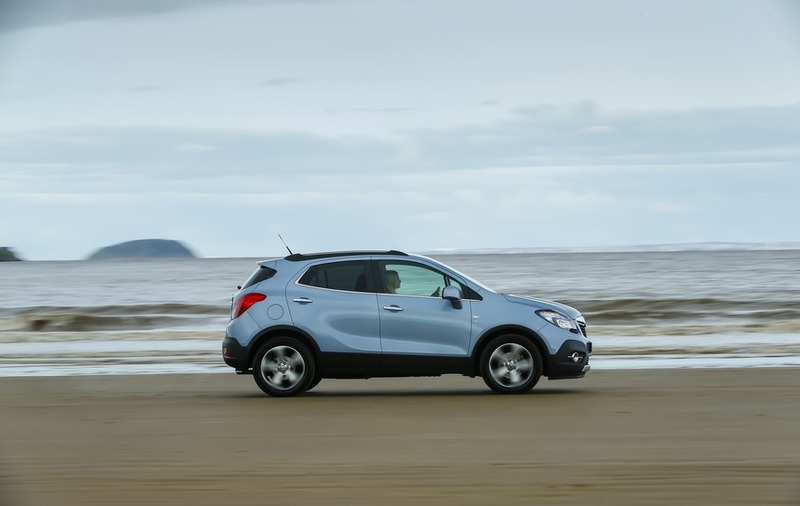 But the Mokka is supposed to be an alternative to a standard family hatchback; it should have a lightness to its controls, not give the driver a daily gym workout. The steering was also heavy, to the extent that I checked the tyre pressures - not once, but twice - in case the car had a puncture. However, the throttle and brake pedal were light enough, but the unevenness in the weights of the major controls made the Mokka a much harder car to drive than it should be. It is a frustrating experience. The lack of consistency between the clutch and throttle, for example, meant I stalled the engine more times in one week than I had in the preceding 10 years. Even the handbrake, which has its release button on top of the handle, seems to have been designed with the express purpose of annoying the driver. I've gone into such detail about the demerits of the Mokka's controls because this stuff important - it fundamentally affects how the driver interacts with the car. It is also disappointing and, to be honest, slightly puzzling that the Mokka is so off the pace. Other Vauxhall models I have driven aren't similarly afflicted. In fact, I can't think of another car from a major manufacturer that is. I am not saying it is easy, but most car companies seem to get it right. By way of contrast my next test car, a Suzuki Swift, was a model of beautifully weighted and consistent controls. The only good thing about wrestling with the controls is that the driver is at least partly distracted from the engine noise and the Mokka's other failing, its awful suspension. If you want to give your spouse, children or friends an idea of how bad the Mokka rides on your average Irish road, invite them to climb into a wardrobe and then push it down a long flight of stairs. If the road in question is a B-road, do it twice. On anything other than super-smooth asphalt or polished marble, the Mokka is a lurching, crashing shambles, the body unable to keep up with the suspension, which in turn loses its composure far too quickly. I normally relish the cross-country route between Bryansford and Castlewellan and on to Ballynahinch. But before I had even managed to locate second gear after leaving the back gate of Tollymore Forest Park, it was obvious that the Mokka was going to be so uncomfortable and so far out of its depth that, for the sake of my passengers, I aborted and returned to the main roads, where the stomach churning was a little more bearable. All of this well below average dynamic ability might be forgiveable if the Mokka carried a Dacia Duster-esque bargain basement list price. But it doesn't. Instead it's priced on a par with rivals which by comparison look outrageously talented, like the Skoda Yeti, new Nissan Qashqai, Suzuki SX4 S-Cross and the Kia Sportage. I am fortunate enough to get to drive all sorts of new cars and hopefully that informs these reports with some context and perspective. I have enjoyed driving other Vauxhalls - the Cascada convertible is a very pleasant car and the Adam hatch is a fun little thing - but it is difficult to recommend the Mokka. A mocha coffee, whose name the Vauxhall riffs off, is a richly flavoured blend with added chocolate. The Mokka, on the other hand, will leave a bitter taste in your mouth. I hope I don't get to drive another car in 2014 that is as disappointing.